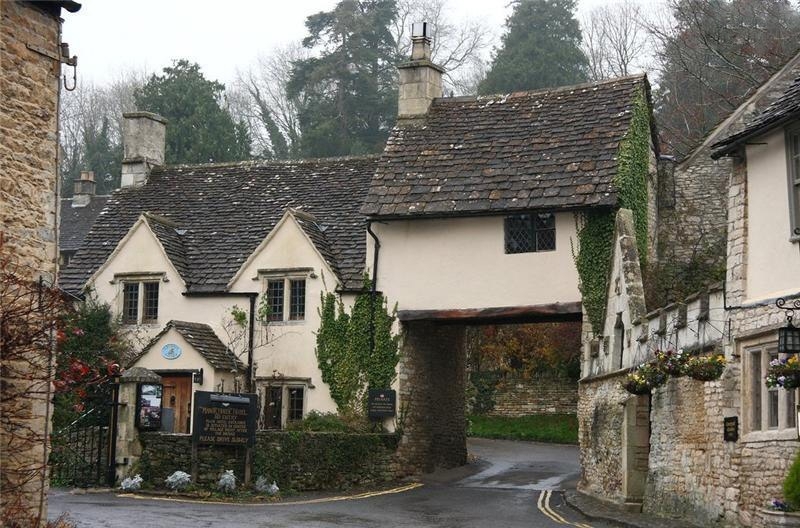 Castle Combe has been called `The Prettiest Village in England` and with good reason; visitors have been coming to enjoy its charms for at least a century and the small street leading from the Market Cross down to the By Brook is as picturesque today as it ever was. By the Middle Ages the village in the valley had become an important centre for the wool industry. The spinsters and weavers lived in the cottages (hence names such as "Weaver’s House") and the river, still known as By Brook, provided the power to run the mills. In more recent times the village has played host to many filming activities, the most famous of these being ‘Doctor Doolittle’ filmed in and around the village in 1966. More recently the village has had a major role in `War Horse`, `Stardust` and `The Wolf Man`. The village is also a sanctuary to wildlife as it is a conservation area and enjoys the beauty of nature at its very best. The village houses are all of typical Cotswold type, constructed in stone with thick walls and roofs made from split natural stone tiles. The properties are many hundreds of years old and are listed as ancient monuments. Strict rules apply to preserve the beauty and character of Castle Combe for later generations to admire. Castle Combe is situated on the southern-most edge of the Cotswolds and is approximately 12 miles from the Georgian city of Bath. Nearby there are many sites of historical interest such as Avebury, Stonehenge and the Wiltshire White Horses. There are also many wonderful walks in the area, more information on these can be found on the Walking in Wiltshire website. The stately homes and gardens of Bowood House, Longleat and Stourhead are also well worth a visit. of hill, woods and meadows cloth`d in green.